Top selling brand of hot salsa seasoning mix! 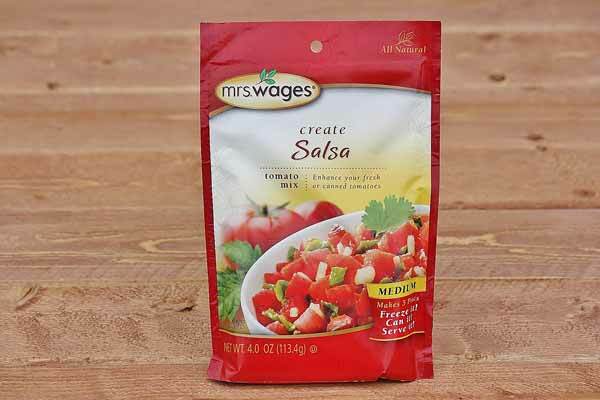 Use this salsa seasoning with fresh or canned tomatoes. Including ingredients such as onions, bell peppers, jalapenos, chili pepper, garlic, and more. Add a bit of lime for extra zest! Serve it, freeze it, or can it. Makes 5 pints. Made in the USA. Ingredients: Dehydrated Vegetables (Onion, Green Bell Pepper, Jalapeno, Chili Peppers, Garlic), Salt, Spices.